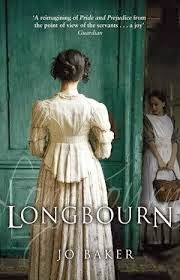 Half-term starts tomorrow, and anyone looking for a good book to read over this period should seek out Jo Baker's Longbourn, new in paperback, especially those in VI and V currently studying Pride and Prejudice (and now in our Library, too). Baker's idea is one of those that make you wonder why anyone didn't tackle it already: Pride and Prejudice seen from the perspective of the servants in the Bennet household (or, at least, as much of that story that actually impinges on them). And she writes very well, capturing the texture of everyday life vividly. This book, apart from being a very enjoyable read, will also be valuable in prompting thoughts about Cultural Context for those preparing for the Leaving Certificate, and there are fresh thought-provoking ideas about several characters in the original novel. In some reviews, Downton Abbey has been mentioned: ignore this, since apart from the anachronism, this is a wholly superior piece of work. It could valuably be read alongside another excellent piece of literature about Austen, John Mullan's What Matters in Jane Austen?